The Working Group on Export Control, Peaceful Uses and Non-Proliferation (ECWG) held its fourth meeting on 7-9 October at the Château de Cadarache. Akko Maas, ITER Senior Officer for External Coordination, has been reading lots of lists these past months—a tedious task no doubt, but one that is essential to making sure that the construction of ITER will not be slowed by administrative delay due to export control. The lists, which vary from one country to another, concern items that come under export control regulations. Akko has been checking the various parts, pieces and equipment that will be integrated in the ITER installation against these lists to identify which ones are subject to export control. "As stated in the ITER Agreement, every Member will be following its own export regulations," says Akko. "We don't want to face a situation where an item is blocked by customs on its way to the ITER site. We can't afford the long delay that could ensue." Making sure that this does not happen is one of the tasks entrusted to the ITER Council Working Group on Export Control, Peaceful Uses and Non-Proliferation (ECWG). The ECWG brings together some twenty representatives of governments, Domestic Agencies and Export Control authorities from every ITER Member. The ECWG brings together some twenty representatives of governments, Domestic Agencies and Export Control authorities from every ITER Member. It held its fourth meeting on 7-9 October at the Château de Cadarache. The morning sessions were chaired by Akko, who was replacing ECWG Chair Michael Roberts, the Director of the ITER and International Division of the Office of Fusion Energy Sciences, responsible for ITER matters at the US Departement of Energy. For medical reasons, Mike was not able to travel to Cadarache, but he chaired the afternoon sessions via video-conference from the US. 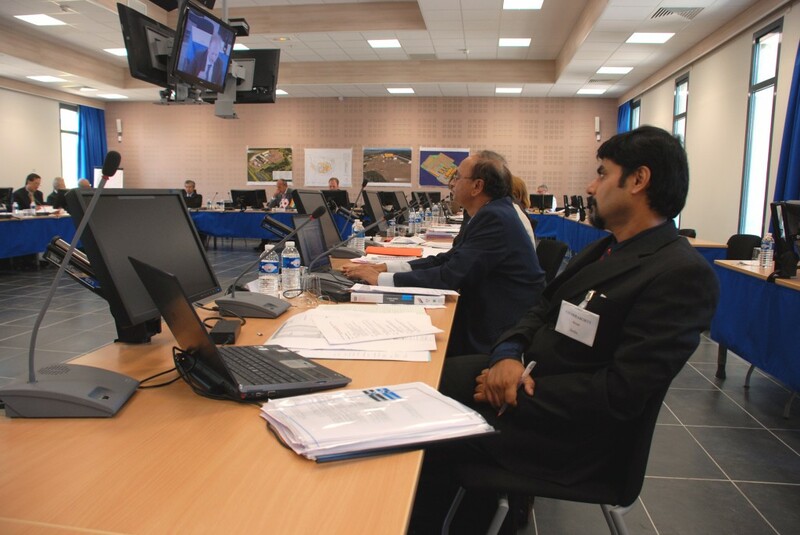 "These meetings are all about coordination," says Harry Tuinder, the Legal Advisor to the ITER Director-General. "Sitting together greatly facilitates the exchange of information and the harmonizing of policies. ECWG meetings are a kind of progress report that keeps everybody aware of the issues and provide opportunities to make observations." As its name implies, ECWG is about more than just export control. "The stakes go way beyond," say both Akko and Harry. 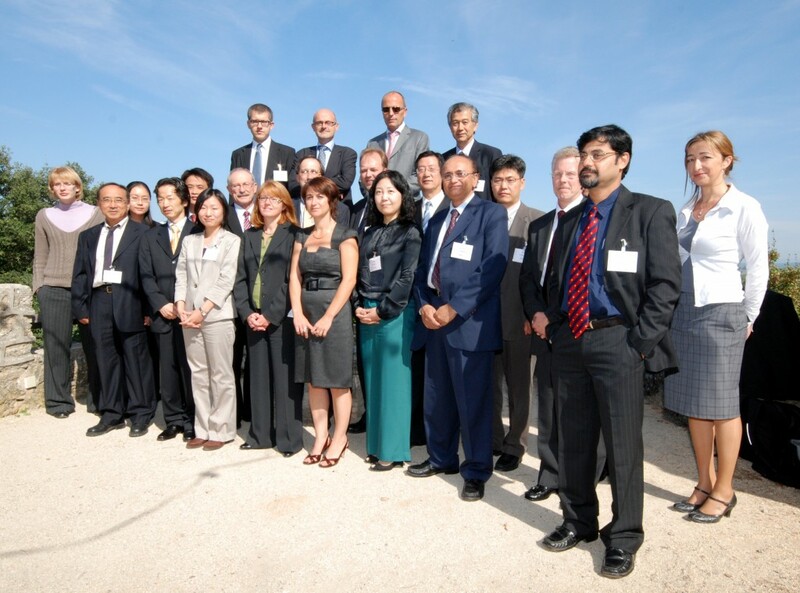 "ITER is a unique forum to put into practice the peaceful uses of nuclear energy and non-proliferation policy. Article 20 of the ITER Agreement, which establishes the policy regarding these issues is something the Members and the ITER Organization take very seriously." There is another issue that will fall into ECWG scope of work. In the course of its twenty-year operation, ITER may develop new technologies and materials that need to be controlled. This possibility has been taken into consideration by the ITER Agreement and the ECWG is the place to discuss how to do it.